Apparently, he's going to "help" in the Miss Universe pageant, too. (SPOT.ph) Just when you thought the recent state of political affairs couldn't get more surprising, along comes this new government appointment. 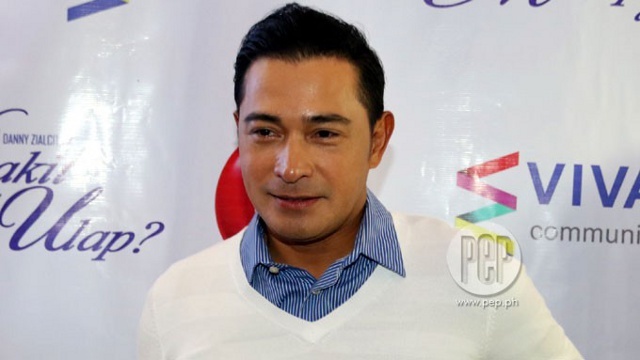 According to news reports, actor Cesar Montano has been appointed as the new chief operating officer of the Tourism Promotions Board. In an interview with Department of Tourism Sec. Wanda Teo, Montano will reportedly "help" in preparing for the upcoming Miss Universe pageant in January 2017. "The appointment came from the President so we have to follow," she told GMA News. The Tourism Promotions Board (TPB) deals with "domestic and international promotions" for the Department of Tourism (DOT), and was previously headed by marketing veteran Domingo Ramon Enerio III. Montano, a known Duterte supporter who campaigned for the president, rose to fame through action films, as well as critically acclaimed MMFF entries such as Muro Ami in 1999 and Jose Rizal in 1998. His most recent role is in the currently airing Ang Probinsyano. He unsuccessfully ran for the Senate in 2007.